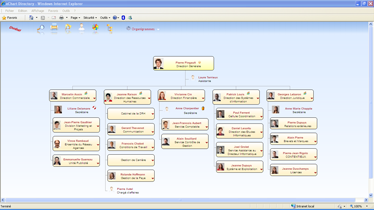 Organizational chart: helps navigate dynamically in the hierarchical structure of the company on several levelsand print org chart. Workflow: Improves the internal procedures of your company: generates e-mail accounts, leave permits, etc. Security management: allows the administration and distribution of information on employees' digital identity.